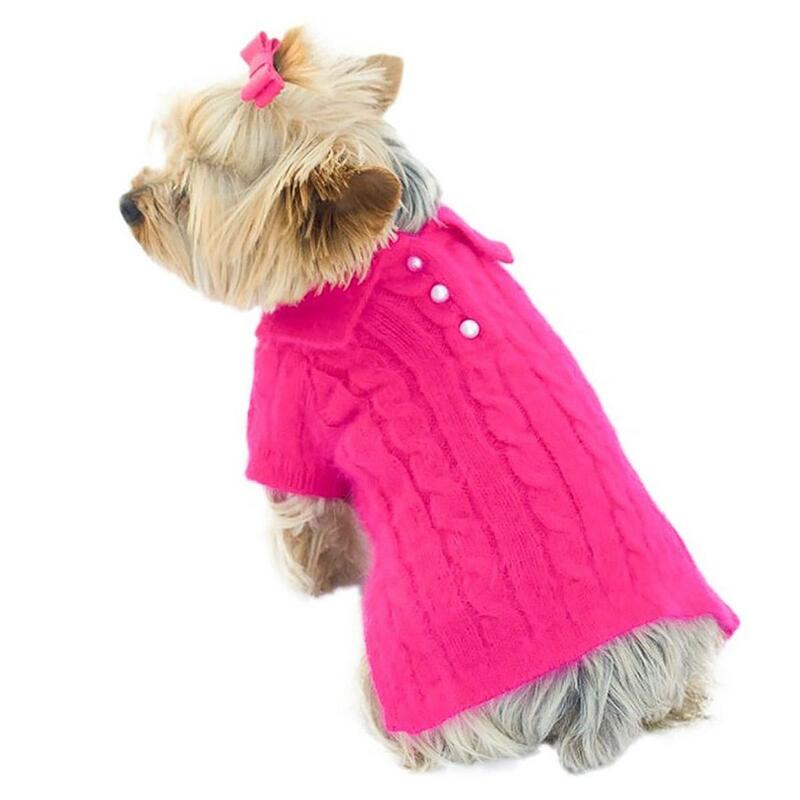 Your dog will move to the head of the class with the Luxury Preppy Polo Cable Knit Dog Sweater in Fuchsia by The Dog Squad. If you want your pup to look prim, propper, and fabulous at obedience school, The Dog Squad's Luxury Preppy Polo Dog Sweater in Fuchsia will score some treats! Give your dog a preppy look in this Fuchsia Cable Polo Sweater. Also available in Black and Red. 80% Angora rabbit hair/ 20% Nylon. Hand wash with like colors; lay flat to dry. I love how BaxterBoo caters to small dogs. I have t-shirts, hoodies and collars from there and I love them. Great quality and price.